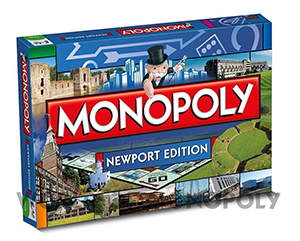 Enjoy the Classic Property Trading Game with this new City Edition - Newport Monopoly! Invest in houses and hotels and watch the rent come pouring in! An ideal companion for travelling or at homeFun for children and adults alike. Explore the city of Newport in its own special edition of Monopoly! 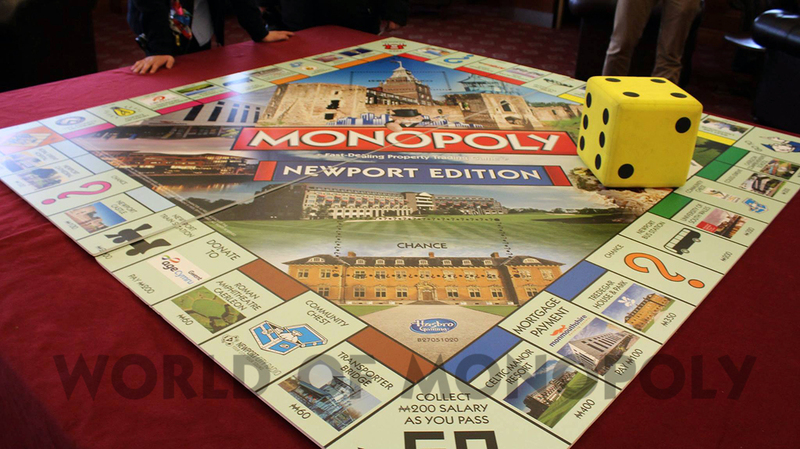 Tour Newport's hottest properties, sites, stations and utilities. Invest in houses and hotels and watch the rent come pouring in! 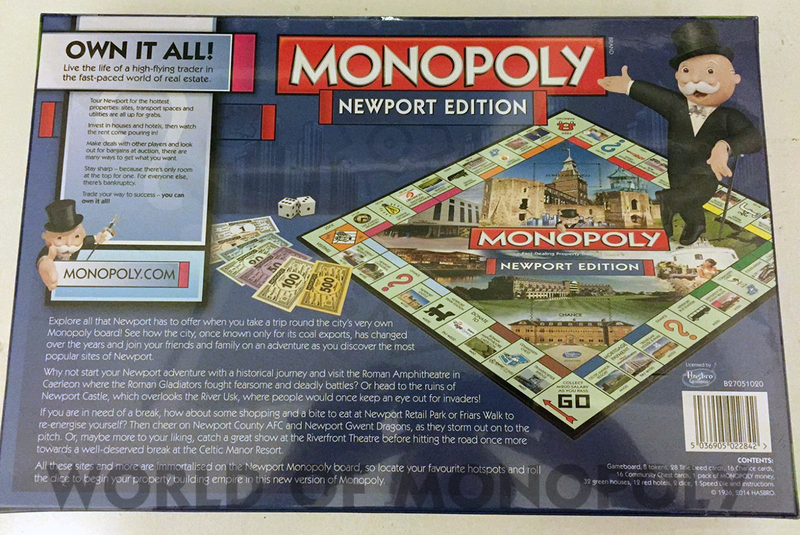 Explore all that Newport has to offer when you take a trip round the city's very own Monopoly board! 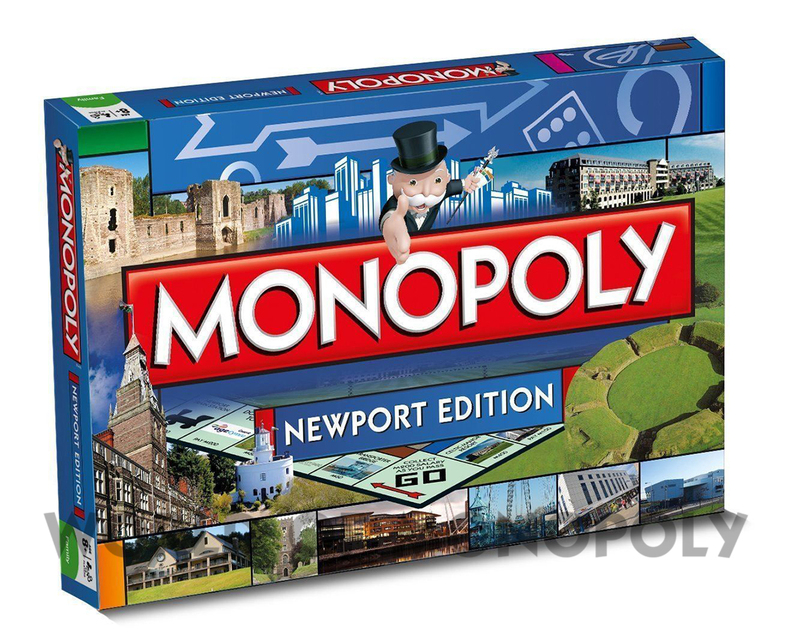 See how the city, once known only for its coal exports, has changed over the years and join your friends and family on an adventure as you discover the most popular sites of Newport. They are all immortalised on the Newport Monopoly board, so locate your favourite hotspots and roll the dice to begin your property building empire in this new version of Monopoly.